check hot spot usage, Speed Meter also show background and foreground usage, Set billing cycle with specific date and limit for metered as well as unmetered network. Displays live internet speed (net Speed 4G)in status bar. Shows Data usage per app. Easily identify most data-hungry apps in your device. Separate statistics for Mobile network (SIM1 and SIM2) and WiFi network. 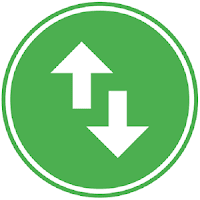 Monitors traffic data for the last 30 days, Daily, Weekly, Monthly & Yearly. Set Billing cycle for metered and unmetered network separately. Alerts before you hit your data limit — never be surprised by overage charges again! Simple, intuitive design and easy to use UI. Daily Mobile and WiFi usage summary notification. Reminder notification on completion of 100% battery charging. 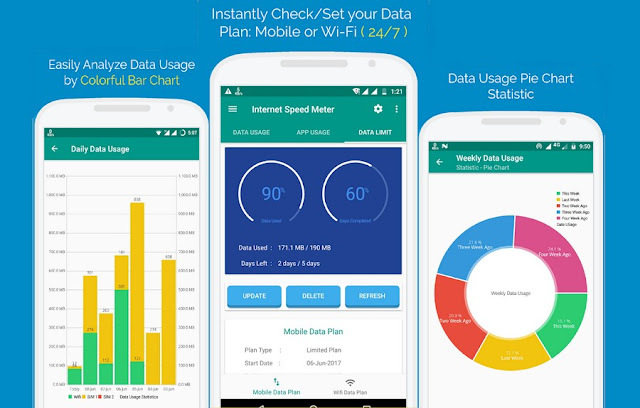 Internet Speed Meter is a Data Manager who Monitor, Manage and count data usage. It shows Network Speed(WiFi, 5g,3G,4G) in Status-bar. Useful settings for all features.